HME Trail-Marking Ribbon with Tacks. 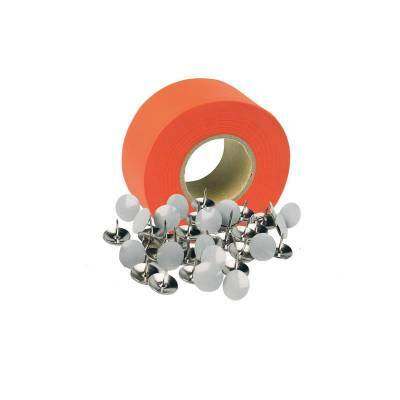 Useful combo pack contains 150' of orange, textured ribbon and 50 highly-reflective white tacks. Tape is heat sealed to prevent unraveling.